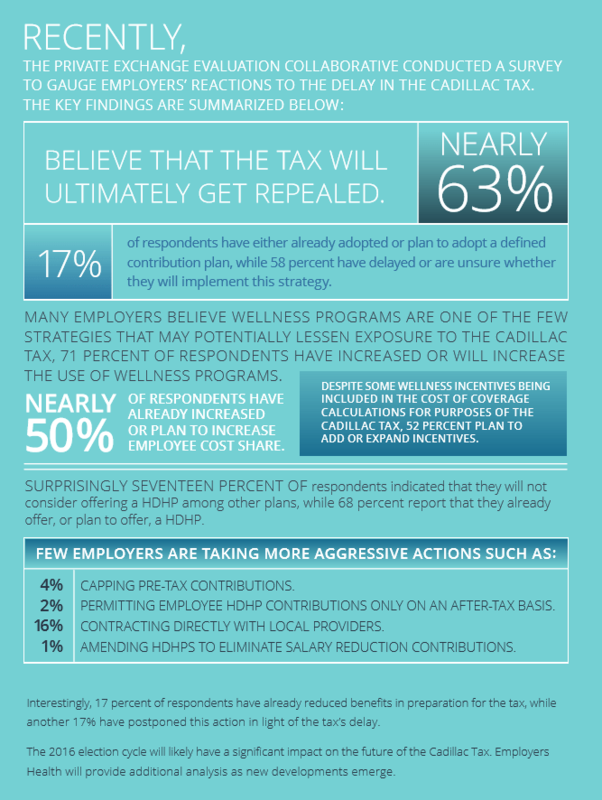 The “Cadillac Tax” is a 40 percent excise tax on the cost of employer-sponsored health coverage that exceeded certain cost thresholds. As originally enacted by the Affordable Care Act (“ACA”), the Cadillac Tax was non-deductible and scheduled to begin in 2018. Although the tax was intended to only impact “high-cost” plans, recent studies suggest that even plans with modest actuarial-values will eventually trigger the tax. Last December, Congress passed and the president signed spending and tax legislation that included a two-year delay to the Cadillac Tax. The legislation also significantly reduced the overall cost burden on employers by making the payment tax deductible. Another benefit of the delay is that the 2020 threshold will likely be increased as a result of the indexing provisions contained in the unamended Cadillac Tax regulations. To view the complete survey results visit www.thepeec.com.